Strip roof to wood; building code violations; tile or laminate? Get tips on making fixes around the house. Q: My master bath shower has a “snail” entry with glass blocks comprising two sides of the entry. A few of the glass blocks on the bottom row have gotten mold or mildew in them. Since the glass blocks are sealed, how do I get at the mold in order to clean it out? How did it get in there to begin with? A: If the mildew is indeed inside the block itself and not in the surrounding mortar, the block has likely lost its seal and would need to be removed and replaced as there is no way to gain entry to the interior of the block to disinfect and reseal it. If the mildew is in the surrounding mortar joints, the mortar will need to be scraped out, the area thoroughly disinfected then re-mortared. After the mortar cures, it will require a couple coats of a good silicone sealer to protect it. We’ve seen a lot of glass block shower enclosures with moldy mortar around the blocks, but can’t say we’ve ever seen a block with the mold on the inside of the block itself. They’re typically pretty tightly sealed at the factory. So take a good look at the area because what you may be seeing is the mold in the mortar as seen through the edge of the block, not inside the block itself. These repairs are not the normal DIY kind of project and should be done by a licensed tile installation company that uses glass block in the normal course of their shower tile work, or a good masonry contractor familiar with this situation as an alternative. 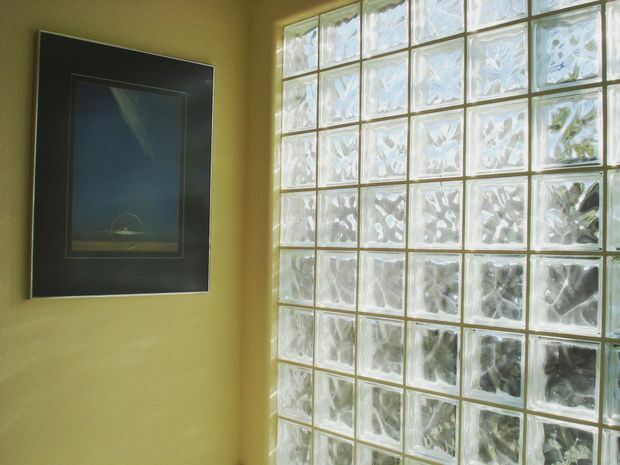 Glass blocks are very durable, but if not dealt with carefully, they can break and cause flying glass particles, so this kind of repair is not something we recommend homeowners undertake. Q: I have a major grub problem in my yard. My flowers always die and when I pull them out of the ground, I always find lots of grubs among the roots. I had been using beneficial nematodes but they haven’t helped. How can I get rid of the grubs without using poison? A: You can try mixing diatomaceous earth into the soil of your garden. Diatomaceous earth contains the tiny remains of diatoms, a type of hard-shelled algae. If that doesn’t work, try solarizing your flower bed. In that process you remove the plants from the bed, till the soil, and then water heavily to two feet down. Then spread clear plastic over the soil. Weight down the plastic to keep it in place. 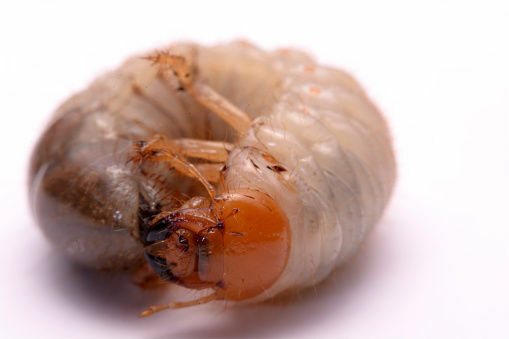 Leave the plastic over the area all summer, and by fall, the grubs should be gone.